Chances are if you have skin you have a scar somewhere on your body. But what is a scar exactly? 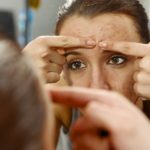 Sure we all know that it is a sign that you had a cut at that particular location at some point during your lifetime, but what happens to your skin to produce the scar? Let’s examine, shall we? So What Is A Scar? The simple way to explain a scar is to say that it is your skin’s way of mending itself after it’s been hurt. Anything from a cut, scrape or sore, as well as a surgery, a fall, or other type of accident will likely leave a scar. 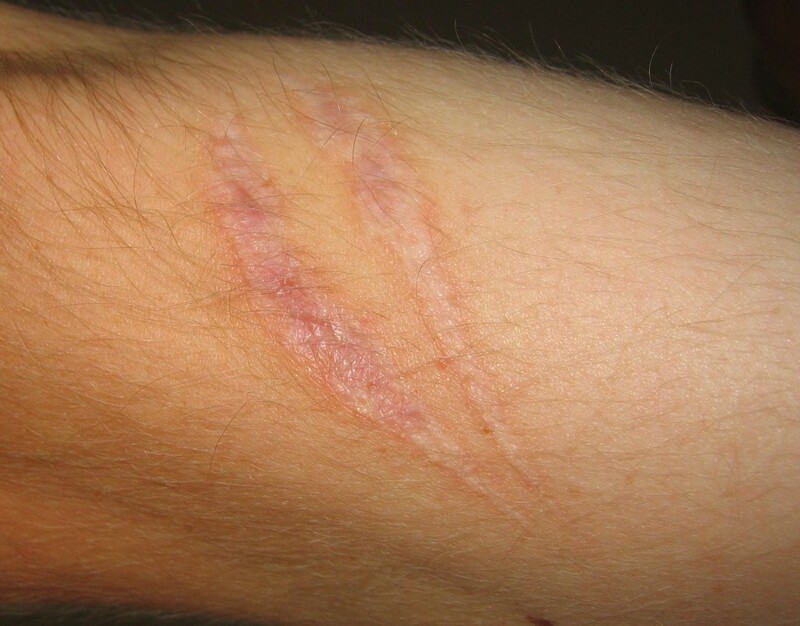 The scar itself is usually a brown or pale pink patch of skin that has regrown where the skin was “hurt.” Not every cut or scratch will result in a scar — it all depends on how deep and badly you hurt yourself. Everyone has collagen in their skin. Collagen is protein fibres that are tough and white, and when there is a wound of some sort, it repairs the area by reconnecting the tissue. During the time of healing, which can vary depending on how deep and big the area is, the skin forms a scab which is crust overtop the wound to protect it. This gives the collagen time to do its work and to heal the cut. Once the healing is almost complete, the scab will dry up and fall off showing an almost-healed skin patch. 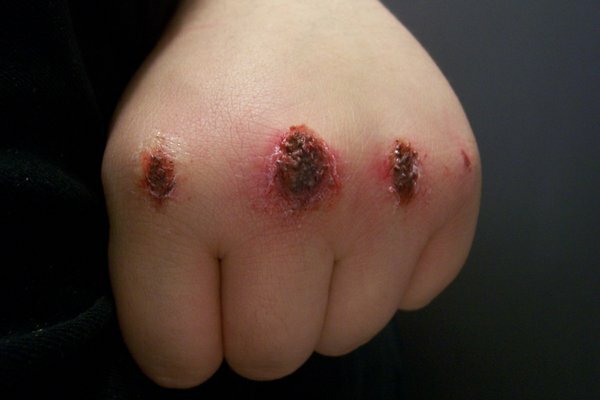 This is why it’s important not to remove scabs as they form. It’s nearly impossible to prevent a scar, unless you can prevent all wounds from happening. So, technically if you don’t hurt yourself, you won’t have scars, but I’ve never met anyone without at least one tiny little scar somewhere on their body. And scars aren’t anything to be ashamed of. They tell your story. What’s happened to you, for better or for worse. It is all a part of who you are. Of course, there are some scars that we would rather not see. And for those, there is a solution. If you have scars that you’d like to have removed, it might be possible. Contact us to find out more. 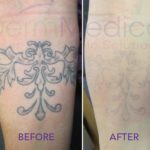 We offer VBeam Pulsed Dye Laser, Fractional CO2 Laser and Affirm Fractional Laser treatments that may be able to help. For those lesser problems, you can also speak with your dermatologist about what over-the-counter or prescription creams might be effective. It is also recommended to apply either Vitamin C or Vitamin E to help the healing process immediately after you’re fit hurt. Regardless, it’s always best to speak to your family doctor or your dermatologist to make sure what you are doing is ok and won’t make things worse, rather than improve the situation.